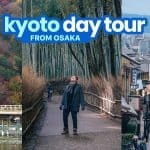 Here are some sample DIY Japan itineraries for Tokyo, Osaka, and Kyoto for 4 DAYS, 6 DAYS, 7 DAYS (1 WEEK), 8 DAYS, and 15 DAYS. Each DIY itinerary has its own recommended minimum budget to help you manage your finances well. 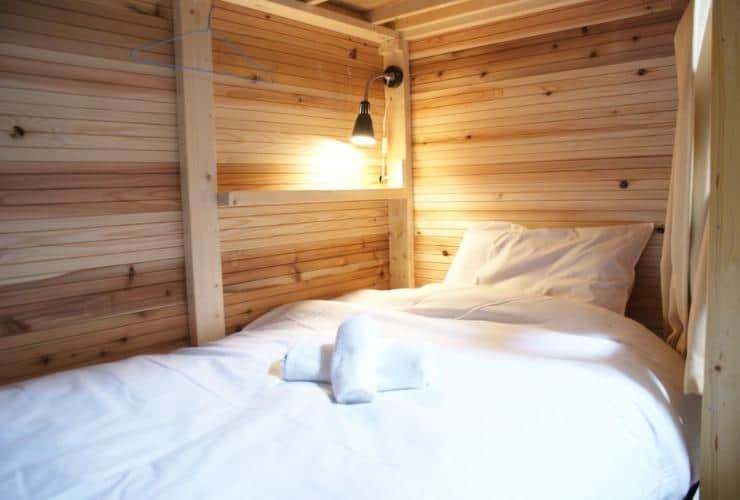 All the itineraries below assume that you are a party of two, that you will be staying at a double room of a budget hotel or hostel (less than $80 per night), and that you will be splitting costs. 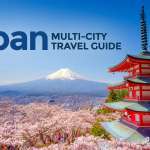 The only exception is Tokyo Option 3 and the 15-day backpacking itinerary. If your hostel or hotel does not serve free breakfast, visit the supermarket on your first day to buy food (biscuits, drinks, bread). 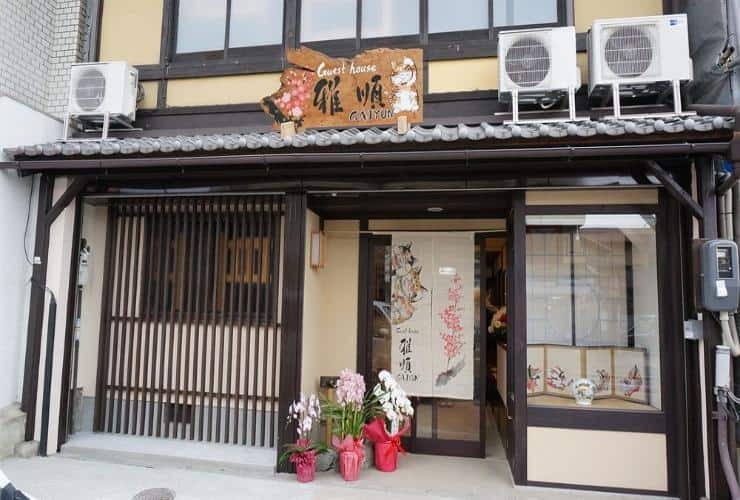 Set aside ¥1000 for every unspecified lunch or dinner. Airfare is not included in the costing. Estimated budget indicated is per person. However, note that this has a big allowance. For example, the ¥1000 budget per meal is often too much because you can actually find a good bowl of ramen, even in Tokyo, for only ¥500. But it’s better to overestimate than under. Do you really need a JR Pass? The BUDGET OPTION. 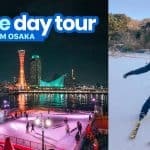 This itinerary replaces the pricey Disneyland visit with a day trip in Odaiba and replaces double room with a bed at a capsule hotel. 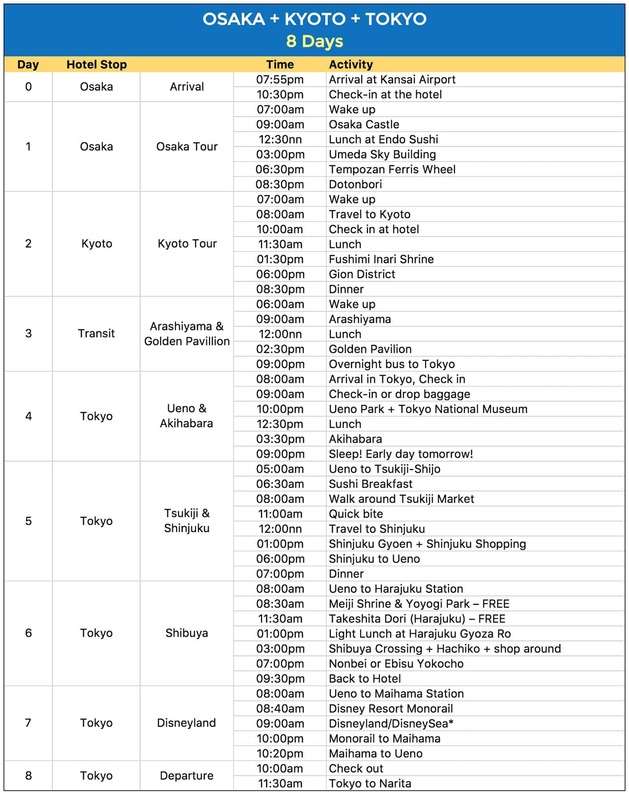 This itinerary removes the visit to Kamakura and Yokohama and adds a visit to Sensoji Temple. This is a pretty jampacked itinerary. 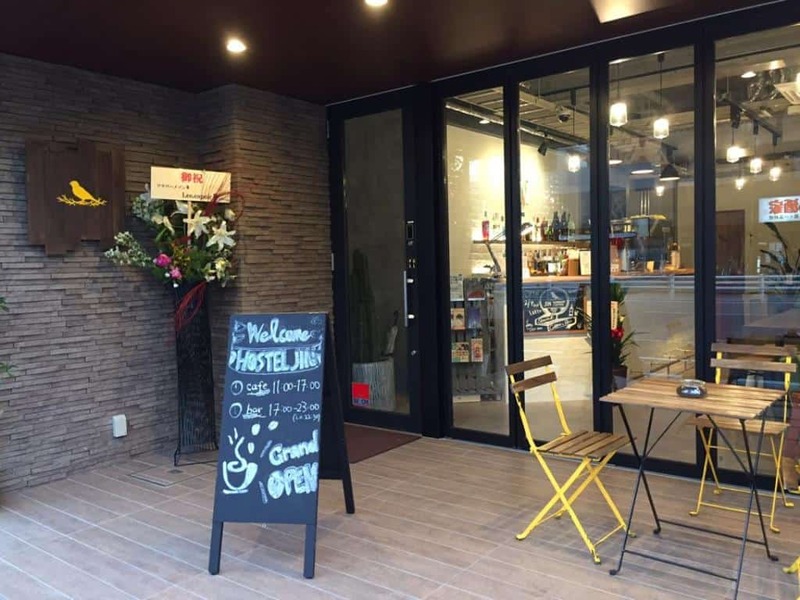 This itinerary assumes you will be landing at Kansai International Airport at night and will be staying in a double room at a budget hotel or hostel for ¥6000/night (¥3000/head). 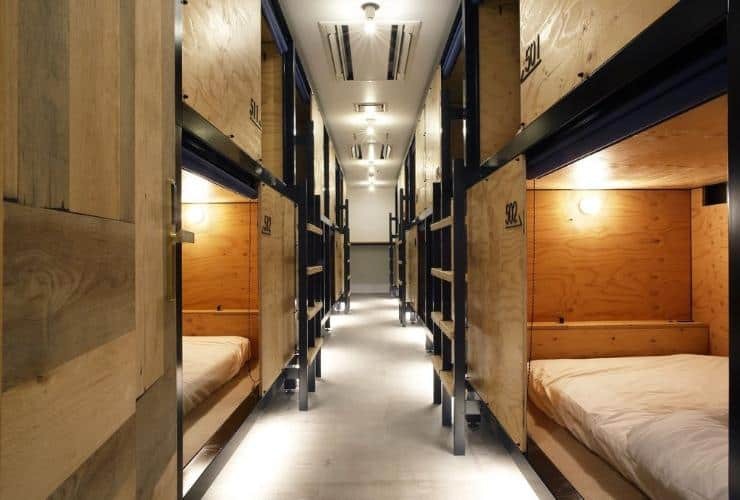 This itinerary assumes you will be landing at Kansai International Airport at night and will be staying in a double room at a budget hotel or hostel for ¥6000/night (¥3000/head). You will be visiting Nara but only on a day tour. 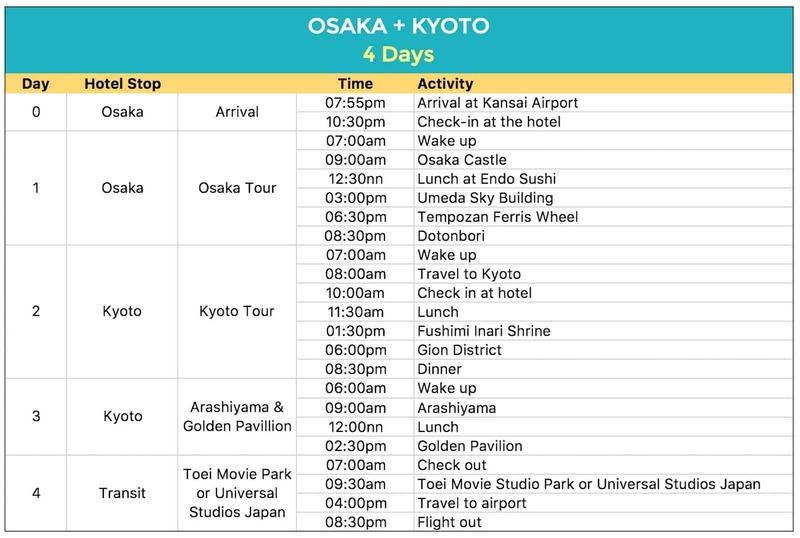 This itinerary assumes you will be entering Japan via Osaka and leaving via Tokyo. 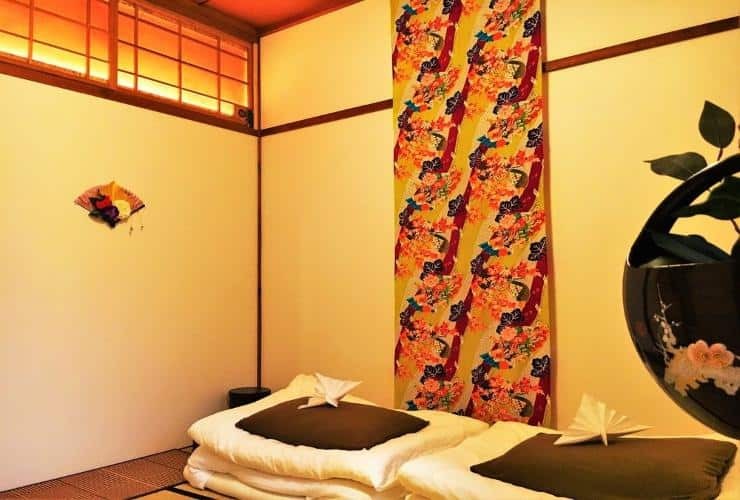 You will also be staying in a double room at a budget hotel or hostel for ¥6000/night (¥3000/head) in Osaka/Kyoto and ¥9400/night (¥4700/head) in Tokyo. This is the reverse of the Osaka-Tokyo itinerary above. This one assumes you’re landing in Tokyo and leaving via Osaka. 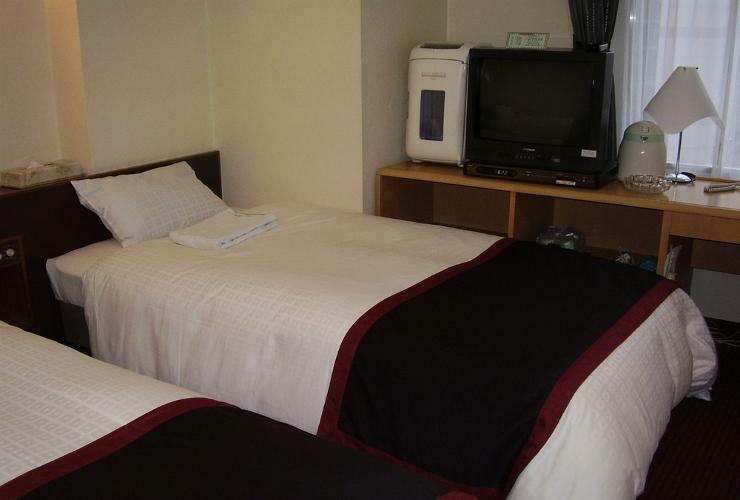 Your hotel budget here is the same: ¥6000/night (¥3000/head) in Osaka/Kyoto and ¥9400/night (¥4700/head) in Tokyo. This one is for budget backpackers. 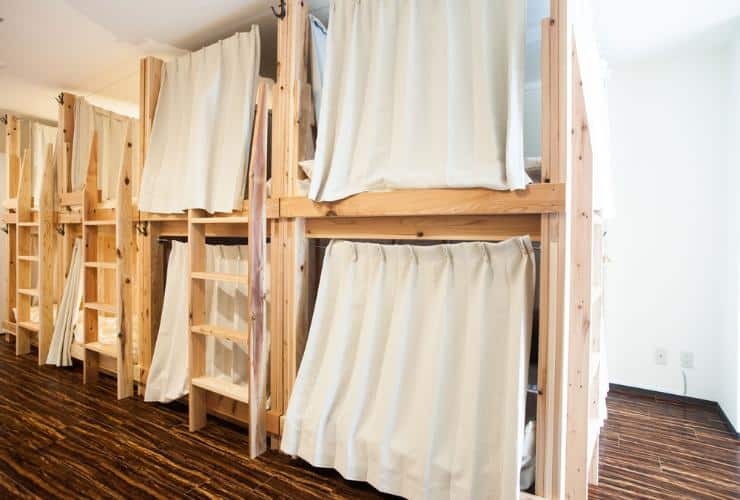 This assumes you’ll be staying at hostel dorm (around ¥2000 per night). Because you will be visiting multiple cities including day tours in Ibaraki and Kawaguchiko, it would be great if you have a JR Pass. It depends on your chosen itinerary. In this post, we weighed in on the JR Pass. 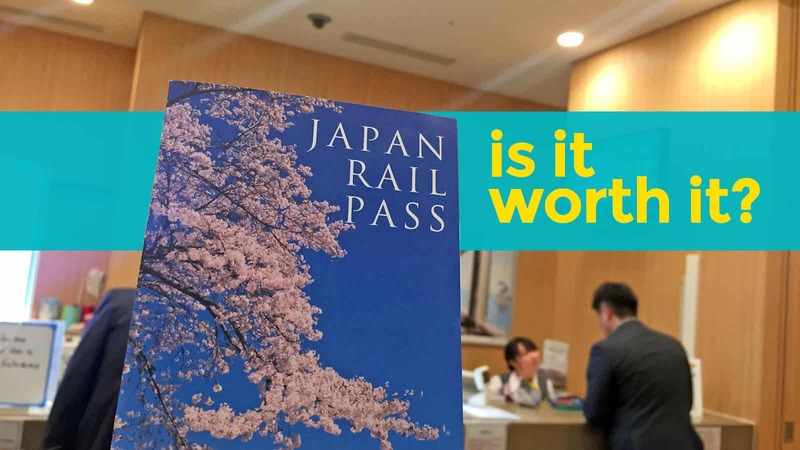 You might want to read it first before making a decision: For more info, read: Is the JR Pass Worth It? According to TripAdvisor users as of Feb 2017. I probably visit your japan articles for so many times as I am traveling to Japan next month (solo trip). I am pretty anxious about how much it would cost me. 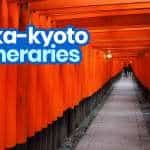 Can I ask for advice if it’s better to get JR pass TOkyo-kyoto-osaka-tokyo is my itinerary.i wanted midnight bus but just wondering if it would cost the same if I have JR pass? Thanks! Hi Weywey, overnight bus is a looot cheaper than JR Pass. If you can handle an 8-hour bus ride overnight, go for it. Hi! Would just like to ask if the budget you posted per option is on a per head basis? For example on option 7, budget is 38k pesos per person if there were 2 of us planning to take this trip? Hi Meg, yes, that’s per person. 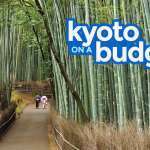 But bear in mind that these are “overestimates.” For example, the ¥1000 budget per meal, which is used in these itineraries, is often too much because you can actually find a good bowl of ramen, even in Tokyo, for only ¥500. But it’s better to overestimate than under. 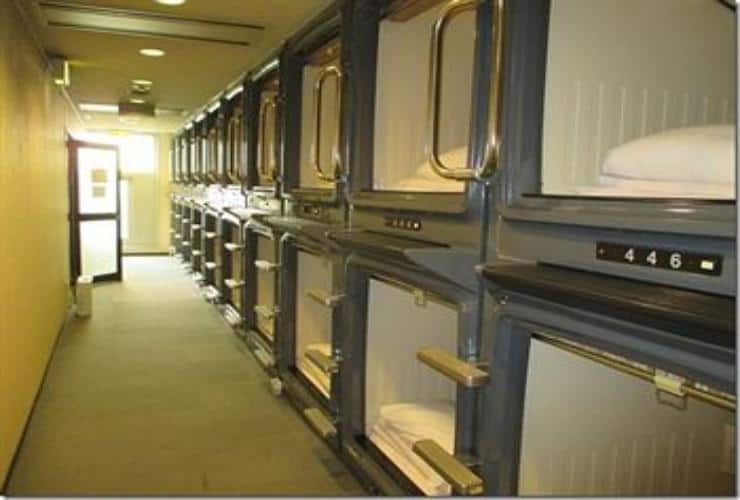 Almost 1/3 of the budget also goes to hotel accommodations. If you can find rooms cheaper than the price used in this itinerary, that would significantly bring the costs down. Traveling Japan was one of my FAVORITE countries of all time. Kyoto was especially…well, special for lack of a creative word LOL Mindblowing might be more apt. Also, the Rail Pass was a HUGE cost saver. Great suggestion! Hi Lexi, oh the only time we tried skiing was at Fujiten (near Lake Kawaguchi). I think it’s a bit cheaper than other ski resorts, no entrance fee, but getting there was super expensive because if you don’t have a car (and we didn’t), the only way to get there was by taxi. And you know how costly Japan cab rides are. Hi. We are 3 in the family going to Osaka next month for a week. Can you give us an itinerary for budget travellers? Thanks. Hi Jenelyn, in my opinion, a week is still too short for Tokyo, there’s just a lot to do there. 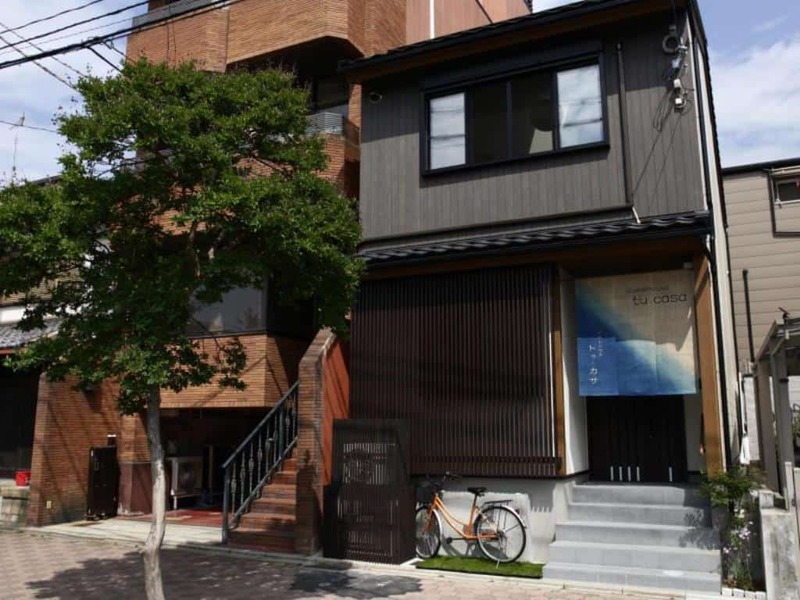 The surrounding destinations like Kamakura and Yokohama are also worth a visit. If you decided to stay in Tokyo, you don’t need a JR Pass. 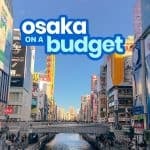 If you really want to visit Osaka and your return flight will also be from Tokyo, the JR Pass isn’t the best option either. You can find cheap flights. Or if you’re up for it, take an overnight bus, which will also save you a hotel night. 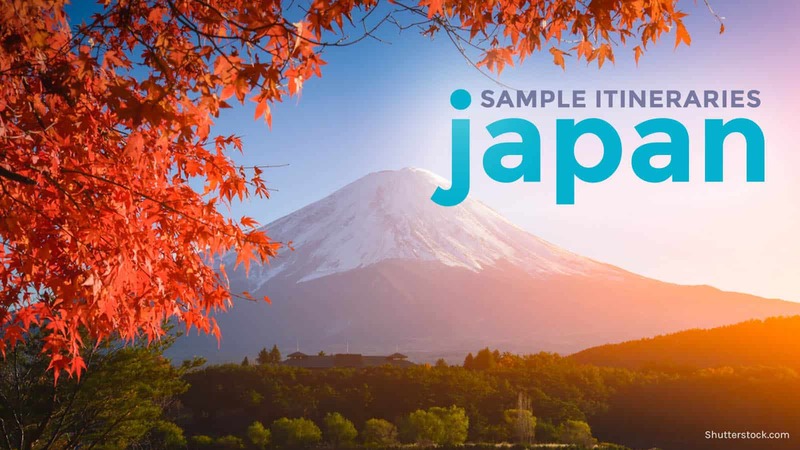 Hi, Your link to Sappora Itinerary Sample and Nagoya Itinerary Sample on the top of your page are swapped. Maybe you didn’t notice it. Hi Win! Great catch! Thanks for letting us know. Fixed now! Hi does the budget includes transportation cost in japan during the trip? hi po, pla po namin mag punta ng japan next month. me, husband and yung son ko. manila-osaka tokyo to manila po ang plano namin. first time namin sa japan, kailangan ba namin bumili ng jr pass? 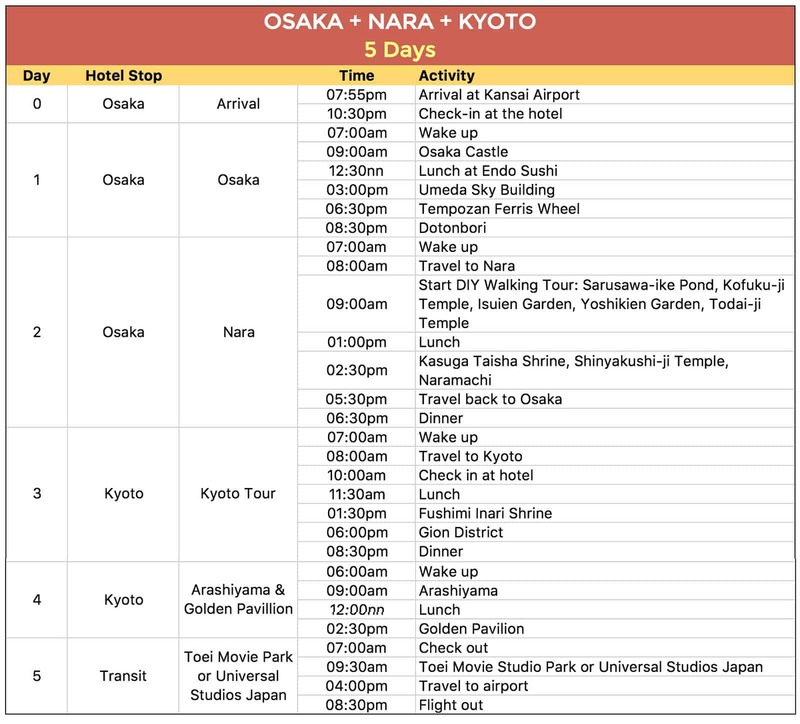 hingi po sana ako ng suggestion mo, kung ilang days namin kailangan mag stay ng osaka para makalibot and sa tokyo.. 10-13 days po kami mag stay ng japan. 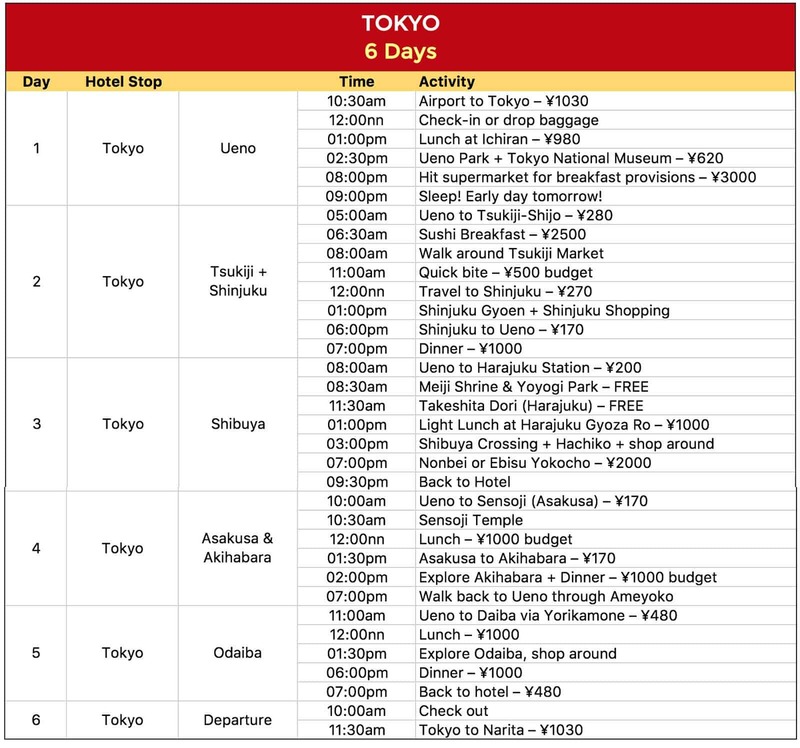 If 10 days, I suggest 6 days in Tokyo and 4 days in Osaka+Kyoto. If 13 days, 7 days in Tokyo and 6 days in Osaka+Kyoto. hi, so we are going to Japan for the first time in August. 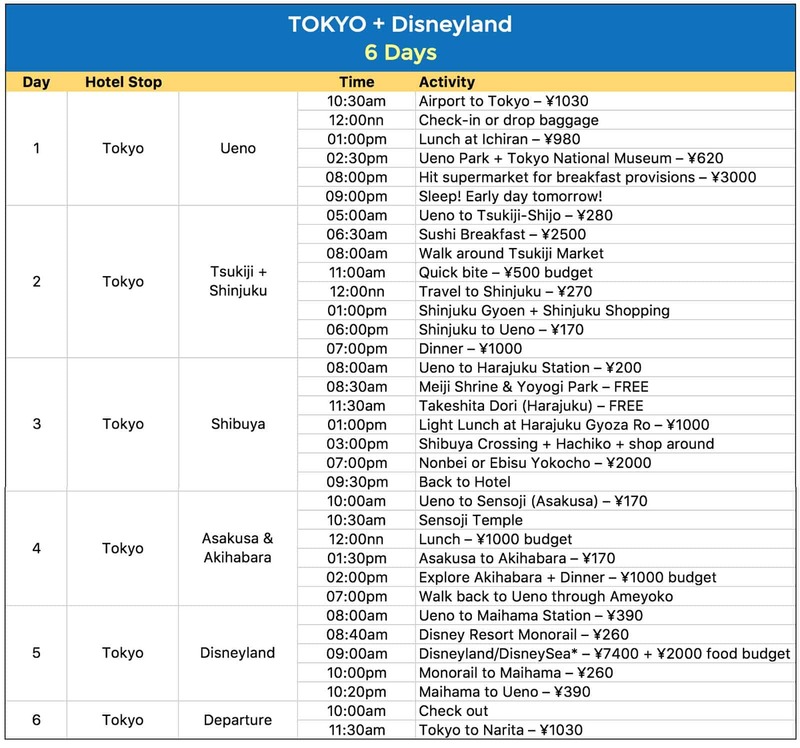 I’ve only booked 6D/5N going to Tokyo…. Reading your articles, seems that is too short, waaaah :( Anyway, so just to confirm, if we stay in TOkyo we won’t be needing the JR pass right? How will we get around the city? 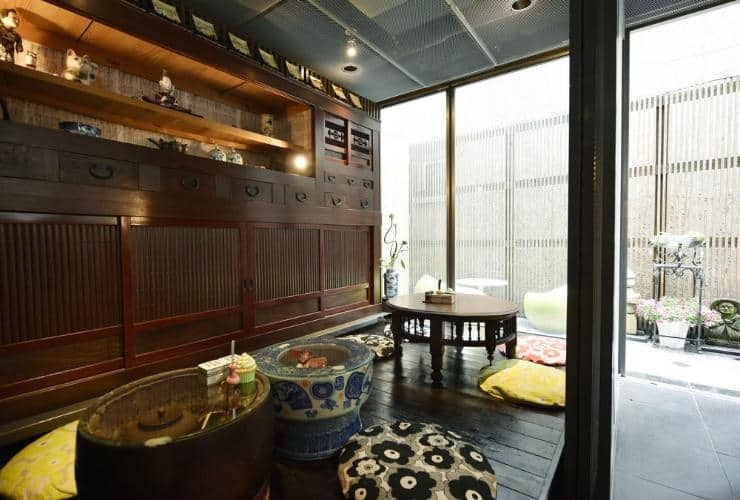 Also, where do you think is the best area to stay as springboard to must-go places in Tokyo? The only sure place we will visit is Tokyo Disney as well as Mt. Fuji tour. What else can you recommend? 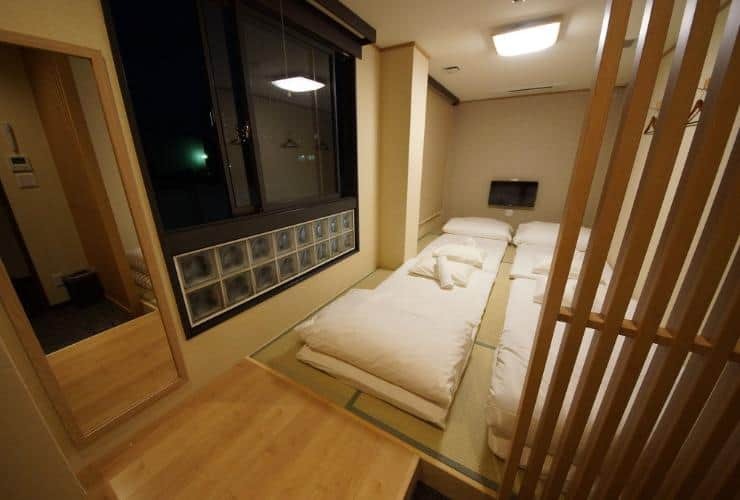 Yep, you DON’T need a JR Pass if you’re staying in Tokyo. Super thank you again!!! 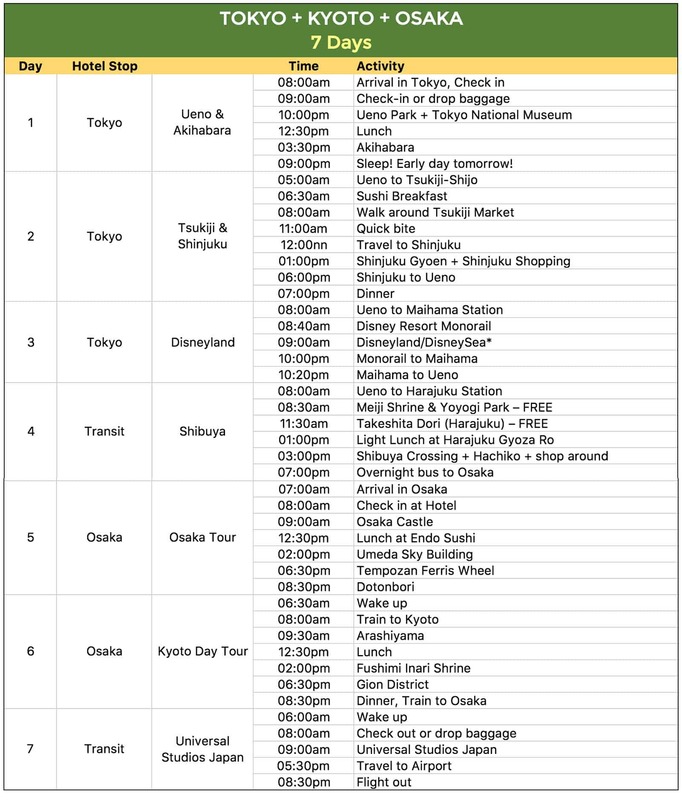 I’m going crazy making the itinerary…. All your articles are very helpful! 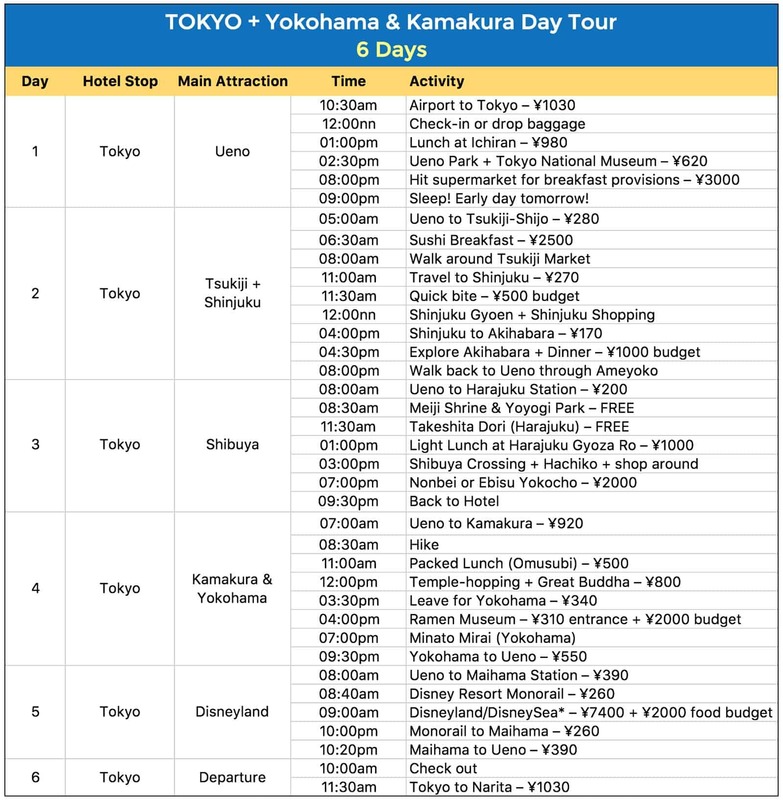 Do you have a itinerary for tokyo – hakone-mt fuji- kyoto- osaka- tokyo? Thanks. Hi ask ko lng po if single entry lng ang visa. Can we enter in tokyo and exit in osaka? Or same exit din kame dapat kung saan ang point of entry nmin? Thank you! Hi! I love how comprehensive yet simple your website and itineraries are! hi Yoshke I will travel with my wife and two daughters age 18 and 20 to japan in march for 35 days. we will use the 21 day japan rail pass. we would like to visit Okinawa also. we fly out of Edmonton alberta Canada and will fly to okinowa first then return from Tokyo. this is our first trip to japan. could you help us with this itinery or suggest a good site for this period of time. Thank you and any help is appreciated. To maximize your JR Pass, use it first when you travel from Fukuoka to Hiroshima (Day 9). This will allow it to be effective until Day 29. when you travel from Hokkaido to Tokyo. This way, you have covered most long-distance trips. Hi! 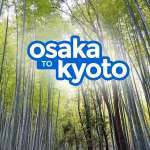 I want to Travel to Tokyo, Osaka and Kyoto but I have roundtrip ticket MNL-NRT. No exact days yet since I can still rebook my flight but still with NRT. Is it okay not to get JR Pass? Or I do I need it to get back to Tokyo? The number of days of your trip is a key factor in determining whether you need a JR Pass or not. So decide muna how long your trip is. But yes, it’s possible to travel from Tokyo to Osaka/Kyoto and back even without JR Pass. You can take the bus. I have a question on the itinerary particularly on Tokyo – Kyoto – Osaka Itinerary: 7 Days. 1. What type of pass or card recommended to use on this itinerary? Is PASMO card enough to use in all the transportation needed? 2. PASMO card is accepted also in OSAKA and Kyoto train/buses? 1. When is your trip? We will be publishing better, more cost-efficient sample itineraries later this month. 2. Yes, PASMO card is accepted by any train gate or bus with an IC reader. Not all buses have IC readers though, I think. Hi. Would a single-entry visa suffice if we fly to Osaka then fly out from Tokyo? Hi Louise, yes, as long as you’re not flying out of Japan in between! Hi, Me and my brother are planning to explore Japan later this month for the first time. And we’ll be spending 10 days. Our flight will be MNL-OSAKA-MNL. What mode of transportation can you recommend if we want to go to Tokyo and come back to Osaka? And what are other itineraries can you recommend? Thank you so much. Hi Rhona, if budget traveler kayo, okay i-take ang bus. Overnight bus, pwede rin para tipid. We’ll be creating more sample itineraries soon! Hi, paano mo gumawa ng itinerary templates for 7 days? Any app you can recommend? Love your blog and it’s so helpful! Thank you! Hi Girlie, we make our itineraries based on experience lang. Hello. 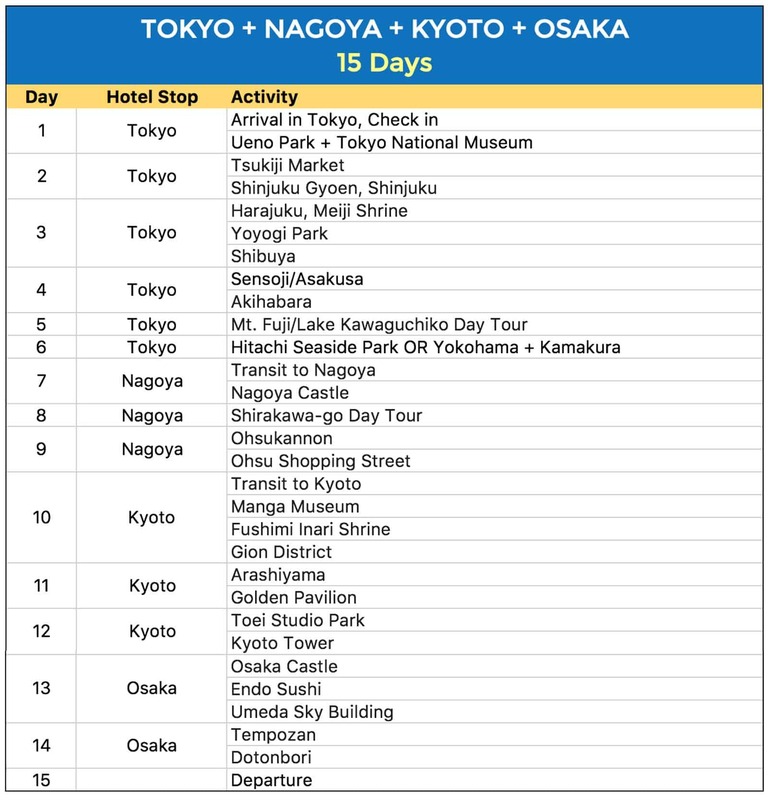 I want to consider your 8 days / 7 days multi city itinerary, might follow it sa planned Japan trip. One question though, would want to include in the itinerary the visit to see Mt. Fuji. What route can you recommend in between those days? Thank you! 1. Do we need to get JR pass? 3. Or you have arrange tour packages in agency? Hope you can ease my mind and help me with this. 1. If your entry point is Osaka and exit is Narita/Haneda, no need for JR Pass. I’m assuming you’re taking the bus to Tokyo. Greetings to you from Singapore. 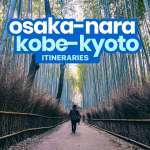 I am planning a family trip of 10 days to Osaka/Nara/Kobe/Nagoya/Kyoto/Osaka in mid Nov this year. My tentative itinerary is as follows. Appreciate for your input. TQVM. Is the route feasible & practical? Appreciate for your suggestions. TQVM. We will soon be updating this post because we now have better sample itineraries. But we’re still trying to find time to update.